Repair instead of replace and SAVE BIG! We have specialty equipment on-site to perform these repairs and eliminate hops and leaks on any size car or light truck rim. 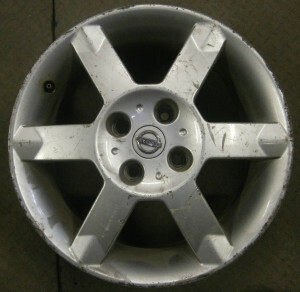 We can remove wheel hop or shaking and stop bent rims from leaking! 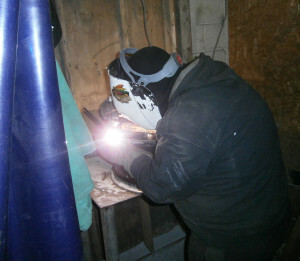 Our staff of technically trained Tig Welders will offer you reliable, professional welds every time. Redrill bolt patterns on aluminum rims (rim must have center cap covering lug holes). 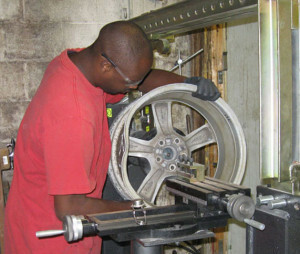 Widen center bores on aluminum rims. 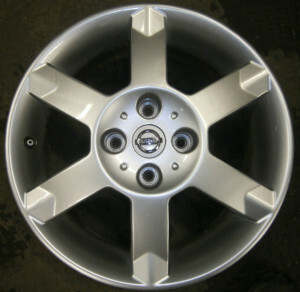 We’ll remove damaged clear coat, repair scratches, stains, and other damage to aluminum rims. We then reapply paint and clear coat to have your rims looking better than ever! Road rash (or “curbing”) and scratching can damage the edges of your rims, but our equipment and professional staff can smooth and remove this damage. Bead Seals – Rims are ground to remove flaking or corrosion, then a sealant is applied to prevent leaks. *We cannot mount or balance wheels larger than 26″. This restriction is not applicable for most customers. If you are not sure how big your wheels are, this restriction probably does not apply to you!